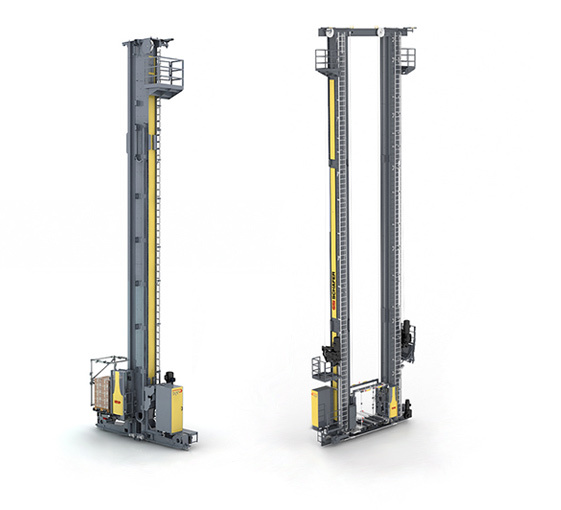 What is Exyz® AS/RS Pallet Crane? The name “Exyz” is actually the exact name of all that with which the new storage and retrieval machine scores. “E” for efficiency in energy consumption and performance - and that in all three dimensional axes “X”, “Y” and “Z”. We are proud to offer our customers a thoroughly optimized storage and retrieval device: the Exyz®. From the production of single, individually tailored machines to combinations of standardized machine components, the Exyz® offers flexibility and efficiency. Different, serial-produced basic elements – from single or double-mast devices with one or two load handling devices for a single-, double- or multi-deep storage and retrieval to an Orbiter-version – create a comprehensive pool for customer-specific mounted end devices. Designed as a modular system, the devices can be tailored quickly to the individual requirements of the user from eight to 45 meters height. 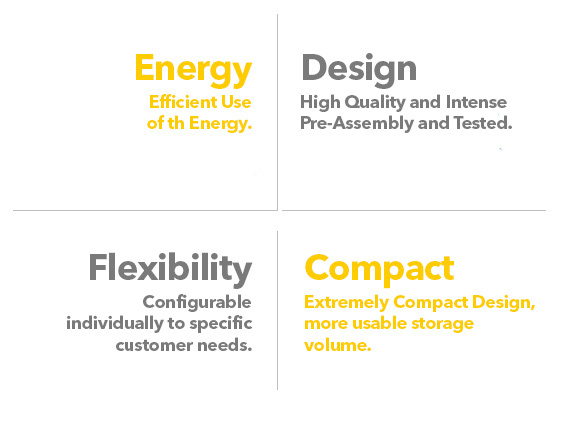 With innovative design features, the Exyz® provides a multitude of efficiency advantages, high flexibility and more storage capacity. The compact construction has led to an especially high customer volume. The Exyz® offers an attractive price, reduced deliver y and implementation times as well as highly reliable components. Efficient energy recover y devices are included features in the Exyz®. SSI Schaefer achieves an island position attribute with the innovative mast design. On-board counter-weights for the hoist truck can be mounted inside the mast, which balances up to two thirds of the dead weight of the hoist truck and increases the capacity while the necessary energy input decreases. Compared to conventional devices customers achieve only at lifting an energy saving of up to 25% and significant reductions of operating costs. Furthermore the energy efficiency is no longer an equipment option. Efficient energy recovery devices are already standard at the Exyz®. 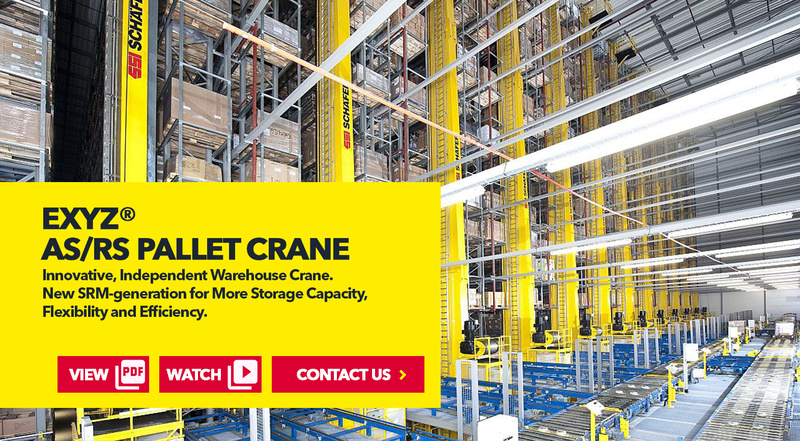 Watch SSI SCHAEFER Exyz® AS/RS Pallet Crane in action! SSI Schäfer offers a thoroughly optimised storage and retrieval machine: the Exyz®. Different, serial-produced basic elements from single or double-mast devices with one or two load handling devices for a single-, double- or multi-deep storage and retrieval or an Orbiter-version create a comprehensive pool for customer-specific mounted end devices. Designed as a modular system, the devices can be exactly tailored in shortest time to the individual requirements of the user from six to 45 meters height. The compact construction leads to an especially high customer use: Attractive price, reduced delivery and implementation time as well as high reliability due to approved components. 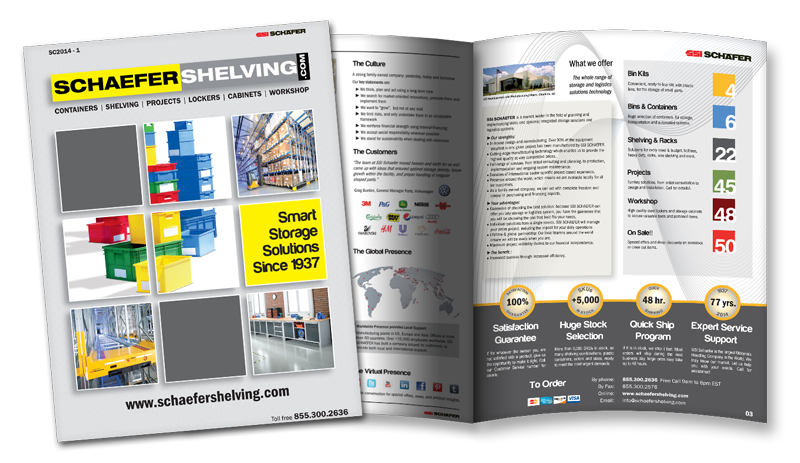 Our own expert team in the field to help you design, develop, and implement the optimal storage solution for your needs. Give us a call. We'll take care of the rest.